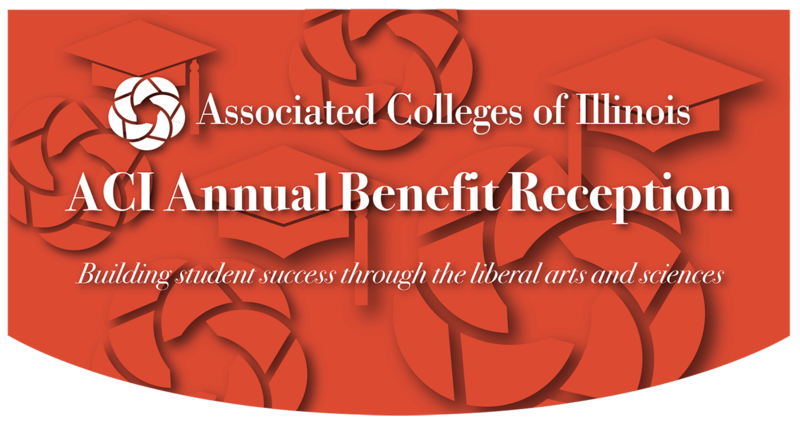 Friday, April 5, is the last day to purchase tickets and register for ACI's April 12, 2019, Benefit Reception, 5:30 p.m. to 7:30 p.m. at the University Club of Chicago. The benefit will raise funds for ACI scholarships, for programs aimed at improving college graduation rates among low-income, first-generation and students of color, and for career development initiatives that help students at ACI’s 27 member institutions successfully transition from college to careers. Jordan Bruster, ACI scholarship recipient (Rockford University ’19), traveled all the way from Corpus Christi, Texas, to study in Rockford University’s Music Department. His ACI scholarship was part of a generous financial aid package that made Rockford affordable for him. "I don't come from a background with a lot of money," he explains. "For me, the ACI scholarship is the difference between having books for school and sometimes the difference between coming to school or not." TaCoya Harris, ACI mentee (North Central College ’22), had to figure out the path to college pretty much on her own. A first-generation student from a single-parent home, TaCoya found that the ACI-North Central Peer Mentoring Program, which focuses on African American students, eased her transition to college. "It makes me feel like I belong," she says "It’s nice to have a group of people who share the same struggles and issues, and we can talk about it." Jorge Palacio, ACI mentor (Concordia University Chicago ’19), says peer mentoring has allowed him to offer students support he lacked as a freshman. 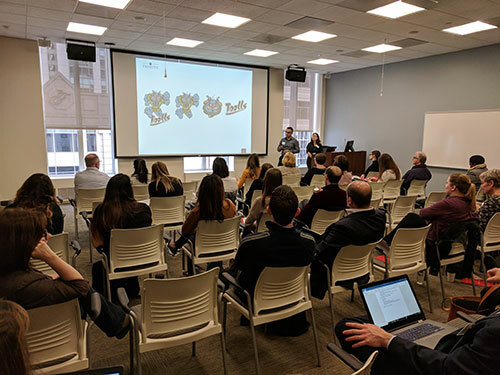 A first-generation college student from an Ecuadorian-American family living in Berwyn, Illinois, Jorge explains: "My freshman year, I wasn’t really able to reach out to professors just because I did not know that was a thing to do. I really didn’t have anyone to connect with for help. The Peer Mentoring Program is like a 'Big Brother, Big Sister Program' – someone who’s been successful shows them what’s out there, the right road toward success." Michael W. Frerichs, Illinois state treasurer will keynote the ACI reception, hosted by Eureka College President Jamel SC Wright, who is also ACI president. Patron Sponsors are Gallagher and Husch Blackwell. Partner Sponsors are Aon, Baker Tilly, Don Campbell, Rathje Woodward LLC and Robbins Schwartz. The reception features live music, an open bar and generous hors d’oeuvres. Tickets are $200 each, and the registration deadline is April 5, 2019. "I can focus on my schoolwork and doing well while I’m here because of the blessing of the scholarship. It really has allowed me to focus and eases my mind. I thank God for it." Watch Lauren tell her story! When Lauren Whitfield was searching for a college to attend, her friends encouraged her check Wheaton College in Wheaton, Illinois. Whitfield was interested in attending a Christian college. Her campus visits were positive, convincing her that the college was a good fit. Plus, Wheaton College had an excellent history program, her major, and attending a college focused on the liberal arts was attractive. "I like the idea of learning these different elements, so they could come together and form a whole person," she says. Whitfield, from Tinley Park, Illinois is now a senior, and she’s considering using her history major and English minor for specific careers. "I have been thinking primarily about either museum-related work, either as a curator or archivist, or possibly working in the world of books or publishing," Whitfield says. Whitfield is the recipient of an ACI General Scholarship, which she says helps relieve the stress of financing her college education. The ACI scholarship and other grants and scholarships are "a blessing," she says. "I can focus on my schoolwork and doing well while I’m here because of the blessing of the scholarship. It really has allowed me to focus and eases my mind. I thank God for it," Whitfield says. "I want to be able to go back to my country in Africa and build a hospital and maybe a school next to it." Watch Gracia tell her story! Neema was inspired to become a doctor by her own pediatrician and her mother, who wanted to be a pediatrician but became an accountant instead. "I kind of want to do it for her. My pediatrician when I was a child was very nice, very helpful, very calming. I like helping people. I like kids, especially," she says. "I want to be able to go back to my country in Africa and build a hospital and maybe a school next to it," Neema says. "I also want to practice somewhere here in Illinois at first and try to go to med school or P.A. school in-state, too." Neema says the hospital she wants to build will focus foremost on patient care. The A. Montgomery Ward Foundation scholarship has helped Neema pay for tuition expenses at Quincy. "Being from a family of five, it really helps my family to know that’s a couple of hundred more dollars off that they don’t have to worry about," she says. Neema has other scholarships to pay for tuition and is thankful for donors who make the scholarships possible. She hopes one day to provide scholarships for future students. "We really do appreciate it," she says. In the past two months, the ACI Board of Trustees added five new members to its corporate board. The five are, from left, Holly Bartecki, Elizabeth Cook, Demetrio Garcia, Nicholas Simpson and Angie Winschel. With their addition, the ACI Board Trustees now consists of 37 corporate board members, plus the presidents of the organization's 27 member colleges and universities. Holly Bartecki is executive vice president, creative and strategic development, Jasculca Terman Strategic Communications, Chicago. She has expertise in not-for-profits, government agencies, education and workforce development organizations. Bartecki serves as senior manager overseeing work on behalf of clients such as John S. and James L. Knight Foundation, After School Matters, Urban Prep Academies and Skills for Chicagoland’s Future. Elizabeth Cook is founder and owner, MicCat Group LLC, Chicago, a firm specializing in option execution services focusing on equities, FX and interest rates. Cook is also a board member of the CME Group, Chicago, the world's leading and most diverse derivatives marketplace. Demetrio Garcia is vice president, Golden Hill Foods, Chicago, and vice president, corporate strategic partnerships, Association of Latino Professionals for America (ALPFA, Inc.). Garcia has extensive executive experience in engineering, operations, planning and business development. He also serves on the boards of the advisory committee of the Boy Scouts of America, Barrio Foundation and Think Virtues Inc., all in the Chicago area. Nicholas A. Simpson is an associate in the Chicago office of Jackson Lewis P.C. His practice focuses on representing employers in workplace law matters, before federal and state courts and administrative agencies. Angie Winschel is chief operating officer, Almanac, Inc., St. Louis. As a co-founder of Almanac, Winschel has more than 25 years of experience in not-for-profit and for-profit organizations. She focuses on strategic messaging for successful branding, marketing and communications. Winschel also serves on the board of Meals for a Million, a St. Louis nonprofit feeding the working poor. ACI will host or co-host two conferences in June, professional development opportunities for staff at member colleges and universities. On June 3, the ACI professional development conference is at Monmouth College, Monmouth, Illinois. This meeting is for professional staff working in advancement, finance and student engagement. The keynote speaker is Dr. Denise Douglas, dean of social sciences and human Services, Lorain County Community College, Elyria, Ohio. Registration will be launched in late April, said Constance Willoughby, ACI director for conferences and scholarships. ACI will cohost a professional development conference with Augustana College for higher education communication, marketing and public relations professionals. The June 13 "Summer Get-Together" will be at the Augustana campus in Rock Island, Illinois. Planned topics for the meeting are artificial intelligence and its implications for communications, communicating with Gen Z, diversity and inclusion in higher education communications and more. Communicators from up to four states are expected to attend. Registration will open later this spring. Principia College Sophomore Corey Carter won the NCAA Division III national championship in the men's 200 meter dash, March 9, in Boston. Carter ran the sprint in 21.52, a school record, and the second school record he set in two days. A sophomore from Cincinnati, Carter is an ACI General Scholarship recipient, majoring in art. He explained that he pays for college tuition himself, and without his ACI scholarship, he probably would not be in school this year. "I was faced with not having enough money to return to school," he said. "The ACI scholarship helped me out. I am super grateful for ACI's help." Carter has been running sprints since high school and plans to continue training after college. His dream is to run in the Olympic Games. With his art major, Carter says he'd like to design athletic gear. Have you seen ACI's new brochure? Released in March, the brochure, left, contains information about the organization and its members, and ACI programs and initiatives, such as scholarships, emergency financial aid, peer mentoring and talent and career development. The four-page brochure is available online as a PDF. Printed copies are available at the ACI office in Chicago. In addition, information about ACI's Talent and Career Development Initiative is contained in a companion piece, right. The piece contains specific information about career development activities in 2019, including the ACI Career Development Conference and Employer Expo, Oct. 4, at North Central College, jobs and internships postings, micro-internships, Work and Life Skills Boot Camps, career mentoring and ACI's statewide career professionals network. Also available online as a PDF, printed copies are available at the ACI office. Since Jan. 1, ACI's Member School Data webpage has been the most-viewed page on the ACI website, with more than 500 pageviews. Viewers will learn of the significant impact of ACI’s 27 member colleges and universities. The economic impact of the member schools is more than $3.5 billion to the Illinois economy. Member colleges and universities employ more than 34,000 employees, enroll more than 67,000 students, and provide in excess of $856 million in financial aid. Data sources included member schools’ own websites, plus data from the Federation of Independent Colleges and Universities’ Economic Input Calculator and the National Center for Education Statistics’ Integrated Postsecondary Education Data System. The Tax Cuts and Jobs Act (TCJA) made changes to “Qualified Transportation Fringes” (QTFs) by increasing Unrelated Business Taxable Income (UBTI) for the disallowed QTFs that a college or university provides to its employees. 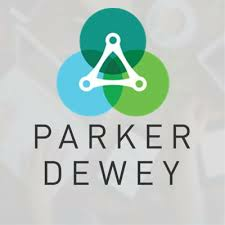 Since there was uncertainty surrounding how the IRS would enforce changes related to parking benefits for tax-exempt organizations, this particular provision has drawn a lot of focus this past year. Many lawmakers and organizations looked to have these provisions repealed, but this did not happen (at least not yet). These are the skills a liberal arts and sciences education teaches. These are the skills that students who attend ACI colleges and universities learn! Consider sup porting ACI's mission with financial gifts! Your gifts make a difference for many underserved college students attending ACI-affiliated institutions across Illinois. To learn how, watch these students tell their stories, including how ACI scholarships make a difference in their lives. ACI welcomes online gifts at any time. For more information about giving to ACI, contact Mick Weltman, ACI executive director, at 312-263-2391, ext. 0523, or write to mweltman@acifund.org. Financial gifts may be tax deductible.